Brøgger is the womenswear label championing luxury outerwear as the tone-setting element in an outfit. Dedicated to suits, jacket and coats, London-based Brøgger fuses its distinct aesthetics with a devotion to craftsmanship and eminent quality. In its second season, Brøgger stages a meeting between the drama of 1980s haute couture and contemporary sports and streetwear. Spring/Summer 2018 explores this contrast through couture craftsmanship applied to technical materials such as nylon taffeta and rib stop, generating standout pieces rooted in functionality and feminine elegance. Epitomised by bold prints and colours, handsome crepe wool suits feature alongside coats in sculptural lightweight taffeta and delicate organza. Trans-seasonal and effortless, Spring/Summer 2018 builds on Brøgger's ethos of versatility and nods to pieces from last season's debut collection. "I want to offer quality investment pieces that women can style and wear across seasons, and cherish for years," says Julie Brøgger. Brøgger is the debut label of Julie Brøgger, the Danish-born designer who has spent the last decade working for some of fashion's most acclaimed brands in London. 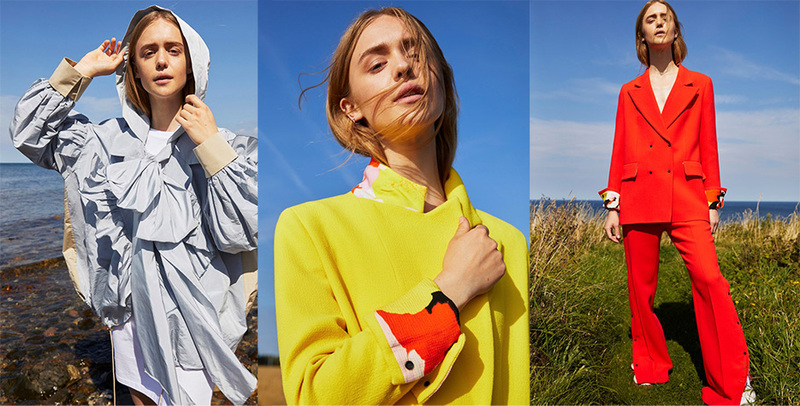 Co-founder Linn Norström Weilehas a background in branding within luxury fashion and e-commerce, and together, the two Danes have joined forces to create a new label that embraces their mutual values of great design, quality and commerce.